The Ultimate Fighting Championship tends to book fights in waves, and one of those waves came rolling on the shore on Friday. Just when the day appeared to be done, the UFC’s Canadian office added a bantamweight bout to the promotion’s UFC 154: St-Pierre vs. Condit fight card slated for Nov. 17 at the Bell Centre in Montreal. “Bantamweight @Ivanmenjivar returns home to fight in Montreal at #UFC154 where he will now be taking on Azamat Gashimov on November 17,” tweeted UFC Canadian officials. Ivan Menjivar (24-9) was one and done in his first attempt in the Octagon, losing to eventual welterweight champion Matt Serra in 2004. After several years toiling in other promotions, Menjivar retired, spending nearly four years on the sidelines. He returned in 2010, losing once in the WEC before making the move to the UFC. 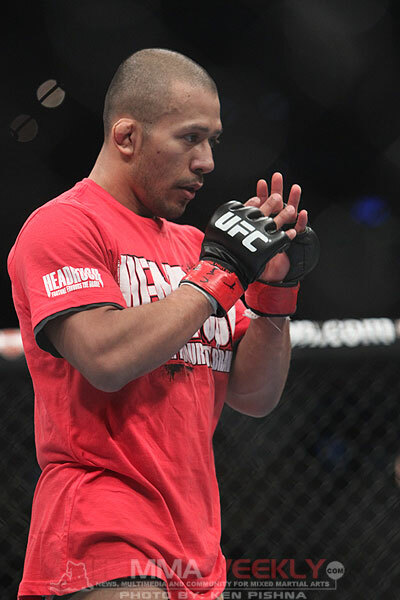 Menjivar reeled off three consecutive victories before losing to Mike Easton in his most recent outing at UFC 148 in July. Fighting and training out of the same Montreal-based Tristar Gym as Georges St-Pierre, Menjivar will try to get back on track on his home turf. Azamat Gashimov (7-1), who now trains under Greg Jackson, will be making his Octagon debut in Montreal. The Russian fighter has never fought anywhere outside of his home soil in Russia or the Ukraine. He’s a strong finisher with only one decision among his victories, finishing four by knockout and two by submission. Gashimov is, however, at a sizeable experience disadvantage to Menjivar, who has double the years in the game and three times as many bouts to his credit. 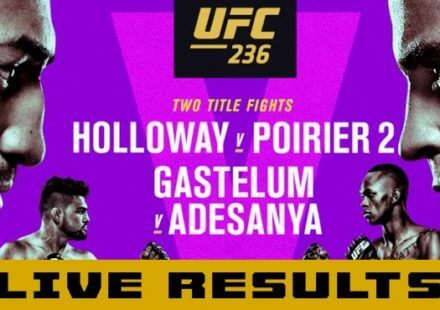 They will be part of the supporting cast for the UFC 154 welterweight title unification bout between returning titleholder Georges St-Pierre and interim champion Carlos Condit. Stay tuned to MMAWeekly.com for more UFC 154 news and updates.